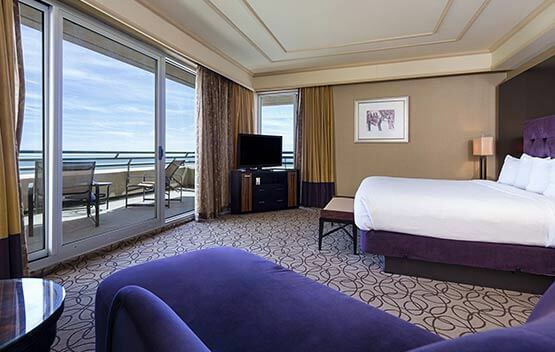 Equally suited for a family getaway or a romantic weekend for two in Atlantic City, The Showboat Hotel’s Orleans and Bourbon towers feature 872 comfortable guest rooms and spacious suites, many with balconies overlooking Atlantic City’s iconic boardwalk and the Atlantic Ocean. Our Standard King guest rooms are attractively decorated with contemporary furnishings and feature one king bed, a work desk and chair and entertainment center with flat-screen television and premium channels. 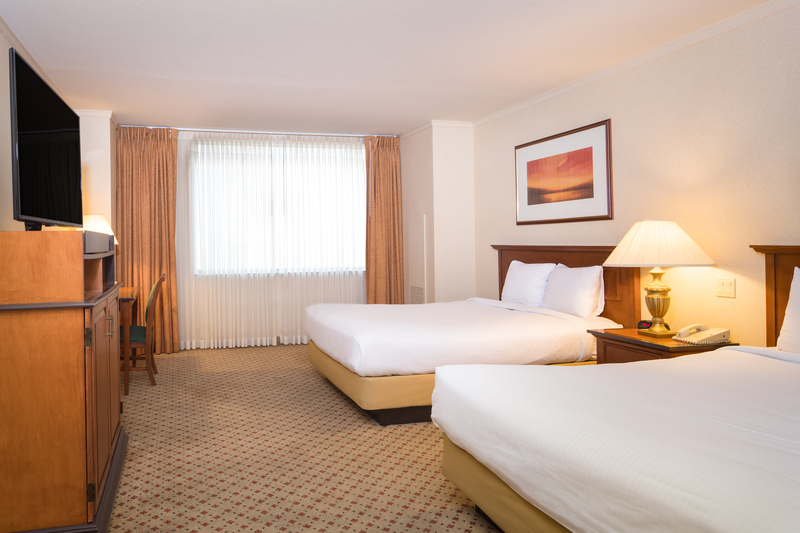 Our Standard Double Queen guest rooms are attractively decorated with contemporary furnishings and feature two queen beds, a work desk and chair and entertainment center with flat-screen television and premium channels. 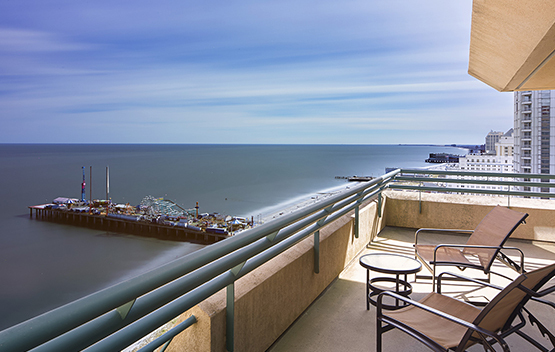 Featuring beautiful views of the ocean, boardwalk or Atlantic City skyline, our 65 attractive Balcony Suites feature sliding glass doors to private furnished balconies, king beds and upholstered furnishings. 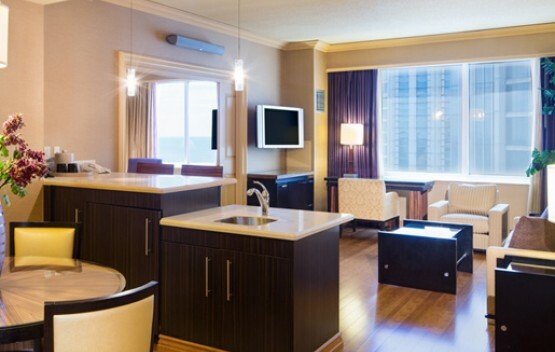 Large bathrooms have double vanities, jetted whirlpool tubs and showers with waterfall shower heads. 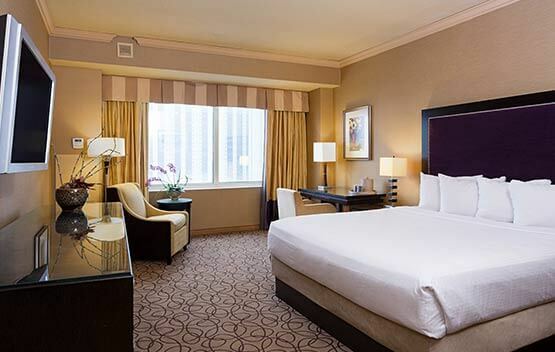 Located in the Bourbon Tower, our 25 stylish Junior Suites are attractively decorated with contemporary furnishings and feature one king bed, a work desk and chair and entertainment center with flat-screen television and premium channels. 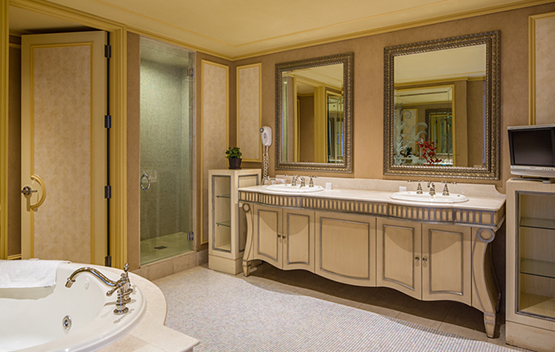 Large bathrooms have double vanities, jetted whirlpool tubs and showers with waterfall shower heads. 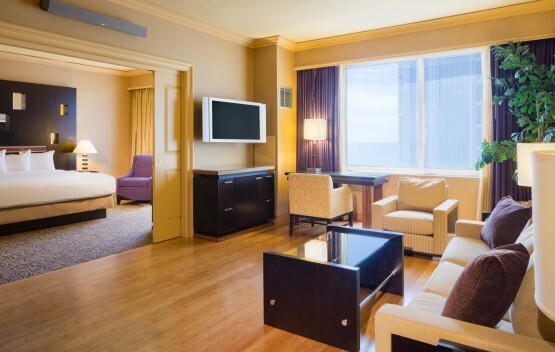 Ideal for families, our two Super Suites overlook the Atlantic Ocean and Atlantic City Boardwalk. 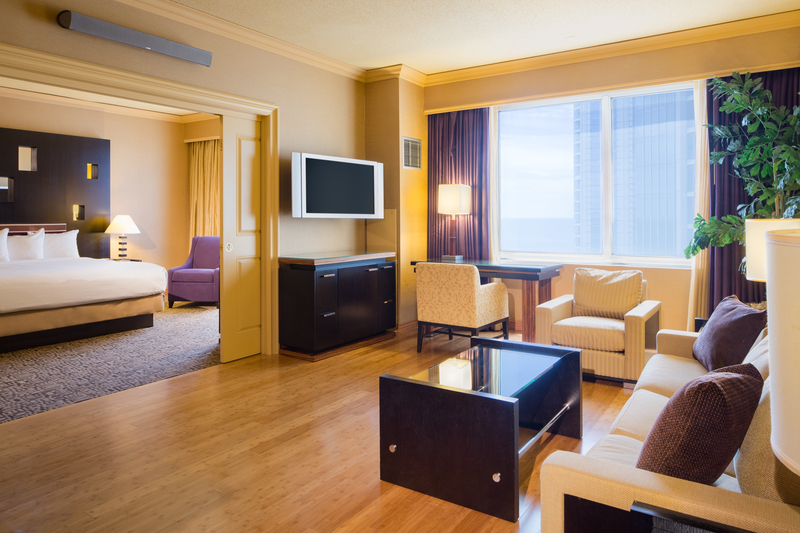 These spacious suites have an open floor plan living room with a full wet bar, dining table for four and entertainment center with flat-screen television. 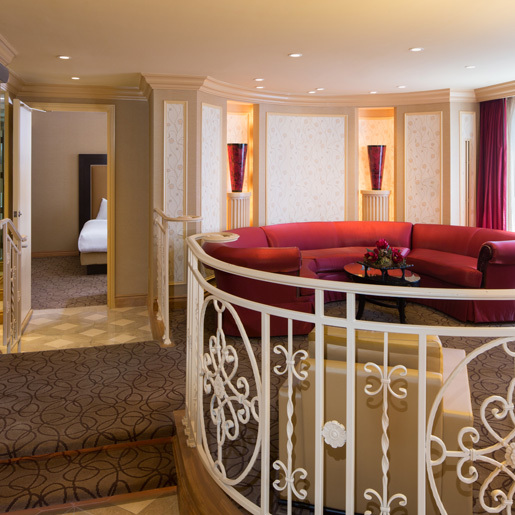 A separate bedroom is furnished with a king bed. 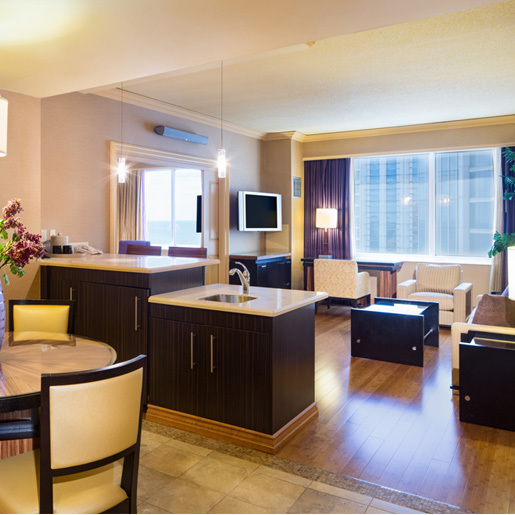 Large bathrooms have double vanities, jetted whirlpool tubs, showers with waterfall showerheads. 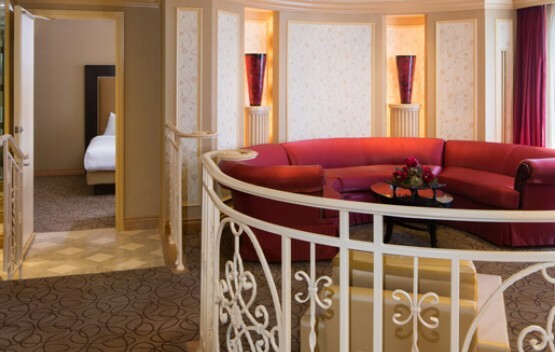 Our Bathtub-Accessible Double Queen guest rooms are attractively decorated with contemporary furnishings and have two queen beds, a work desk and chair and entertainment center with flat-screen television and premium channels, as well as a handicap-accessible bathtub. Spacious and stylish, our Handicap Accessible Double Queen guest rooms are attractively decorated with contemporary furnishings and feature two queen beds, a work desk and chair and entertainment center with flat-screen television and premium channels, as well as a roll-in shower. 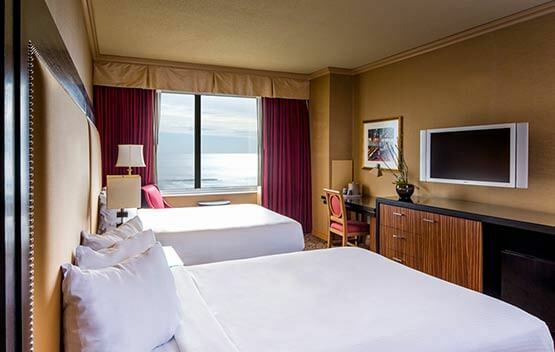 Our spacious Handicap Accessible King guest rooms are attractively decorated with contemporary furnishings and feature one king bed, a work desk and chair and entertainment center with flat-screen television and premium channels, as well as a roll-in shower. 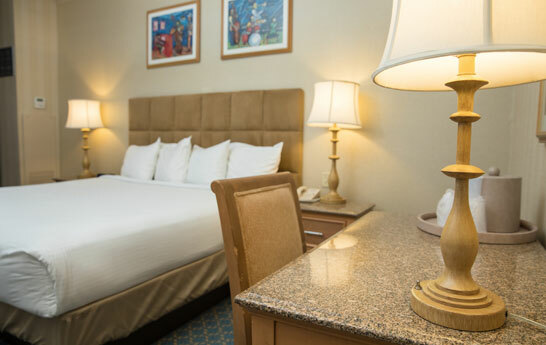 Our Handicap Accessible Junior Suites are attractively decorated with contemporary furnishings and feature one king bed, a work desk and chair and entertainment center with flat-screen television and premium channels. 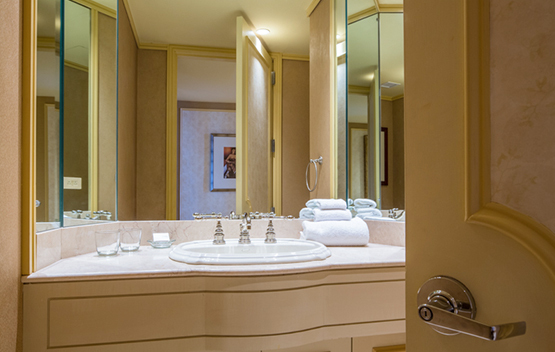 Large bathrooms have double vanities and roll-in showers.